Welcome to Four Seasons in Orange Beach, Alabama! 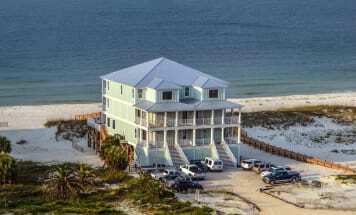 Emerald Coast by Owner is your premier vacation rental service in this area and we are proud to offer you a large selection of our elegant properties! This luxurious condominium complex has just about everything. An indoor pool, an outdoor pool, a hot tub, it's own pier going out over the water, a convenient location right on the sand, and amazing balcony views of the coast. Aside from all that, there's plenty to do here! You can relax and enjoy the beach, or take part in all the activities offered to you. Some of the most popular activities include parasailing, helicopter tours, deep sea fishing, fishing off the pier, paddle boarding, and boat tourism. You can also get off the beach and head to Arena The Next Level, an arcade and laser tag area where there's always a ton of fun and interesting stuff for everyone! As for food, you will not be disappointed. So many local spots specialize in delicious seafood and provide you with great service. Some of these spots are even located right along the sand, giving you excellent views of the coast while you enjoy your meal. So stay at Four Seasons this year and make it the best trip ever! Visit Emerald Coast by Owner and view our listings in the beautiful Four Seasons, along Orange Beach. Be sure to click the email owner button found on each listing to send a property owner a message directly. Booking direct with the property owner makes for a more enjoyable booking process and assures you are getting the best price for your rental. Book online with ECBYO today and save!